My sister-in-law Heather and I teamed up to design this calendar. 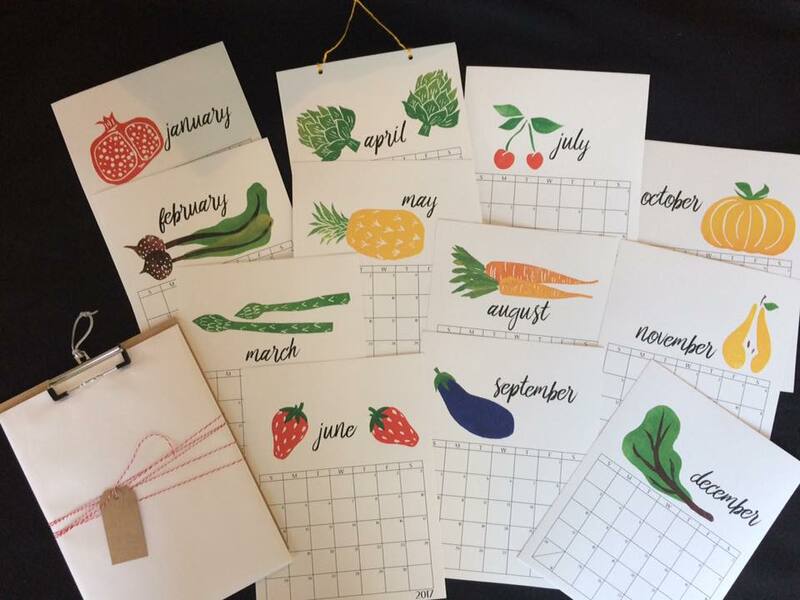 Each month features a different handmade block print seasonal fruit or vegetable. Our calendars are done and we couldn’t be more pleased with the final product. 8.5×11″ 2017 calendar. Perfect for hanging in the kitchen to enjoy seasonal artwork year round, or for jotting down meal plans as the year goes on. Art is always a great gift idea! $15. Available by emailing theurbanpioneerwoman@gmail.com or also available for purchase at Ball Park Floral in Grand Rapids!